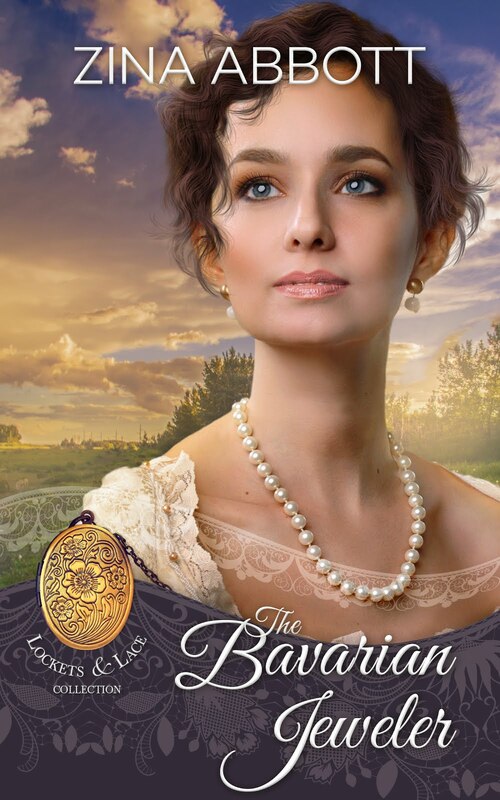 Cora left England for a new life in America as a mail order bride - only to find the man she’s come to marry has been killed in a gunfight. She has a sister in Kansas, but how can she get there? Jesse needs this job driving cattle to Kansas so he can marry the woman who’s given him an ultimatum - buy land and settle down, or she’ll marry someone who will. But, his cook’s been killed in the same gunfight, leaving him without anyone to drive the chuckwagon. 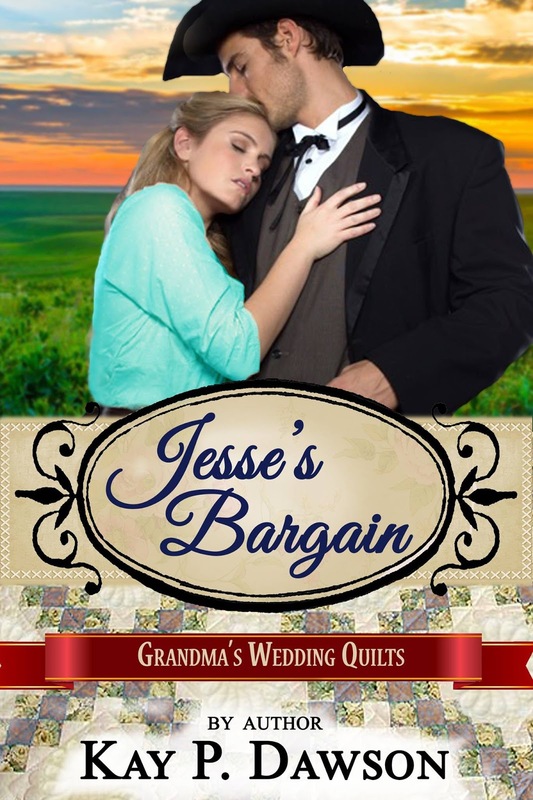 His right hand man, an old cowboy with a soft heart, has a solution for both Cora and Jesse - one he might not like. "Ma'am, get under the bench unless you want to eat lead!" The words were barely audible above the sound of gunshots ringing out all around her. Cora fell to the ground, crawling under the bench on the wooden sidewalk, with her heavy skirts pushing up around her ears as she threw her face down in the dust and her hands up to cover her head. What was going on? She'd only just arrived, and set her bags on the ground before the stagecoach driver continued on up the road to the stables. She was sure the dust hadn't even settled on the street before the sound of men's voices raised in argument had reached her ears. Before she had time to figure out what the commotion was about, the sound of gunfire had exploded into the air. She'd never had to deal with anything like this in England. But, since she'd arrived in America, she’d soon come to realize it wasn't near as civilized as it was back home. And, the further west she'd come, the more that became apparent every day. Not only had she spent weeks on a noisy, dirty train to bring her as close to Texas as she could get, she’d then spent the past few days stuffed into a dusty, bouncy stagecoach that offered little for comfort, to bring her the rest of the way. And this was all after months on board a ship that she'd soon realized wasn't anywhere near as much fun as she'd always dreamed it would be. The thought of exciting days at sea had soon been replaced by the nausea she'd lived with for most of the journey. Then, as if she hadn't been punished enough, she was now laying with her head face down on a dirty walkway, under a bench, while gun fight erupted around her. Was this really the wonderful, romantic place her sister had written home about? Cora’s sister Fiona had set off almost two years ago on her own journey to America to marry a man she'd found in an ad. After months of hearing nothing, Cora had finally received a letter from her sister talking about this wonderful man she'd met and fallen in love with. Fiona had nothing but great things to say about this new place she now called home. How it wasn't nearly as uncivilized as they'd always believed. And how it was beautiful, with green grass and hills as far as you could see. Well, all Cora had seen for the past few weeks was a thick layer of dust laying on top of everything she saw. And, as far as not being uncivilized, the scene that was taking place in front of her was giving her doubts. "It looks like everything’s all clear now, Miss. You can come back out." A wrinkled hand reached down to her as she lifted her eyes to peek out around her hands. "Just another day in San Antonio, I'm afraid." The man's hands were as weathered as the skin on his cheeks, but his eyes held a warmness that comforted her. Somehow she sensed that he was kind and she would be safe with him. She placed her gloved hand in his, absently noticing the dirt that covered the once white fabric. As he pulled her out from under the bench, she almost thought she could see a sparkle in his eye as he smiled down at her. “Name’s Shorty Sanders,” he said as he bowed low, sweeping his hat off his head and holding it to his chest. She had to tip her head as far back as she could to see his face once she got standing up. He had to be twice her height. She wasn’t sure how she could be so calm after what had just happened, but she figured it must have something to do with the fact she’d already endured more in the past few weeks than most did in a lifetime. She was grumpy and tired, and a few gunshots weren’t going to stop her now. “Oh no, we only save these welcomes for the prettiest ones.” The tanned and wrinkled face grinned at her as he winked. “Shorty. Are you okay?” Another man’s voice stole her attention and she turned her head to see who was coming toward them. “Just rescuing a damsel in distress from the fight that broke out across the street.” The other man had come up beside Shorty, and finally brought his head around to look in her direction. Instantly, her heart skipped two beats as his eyes met hers. She was sure in all her life she’d never seen eyes so dark, and yet seemed able to look right into her soul. Her breath sucked into her lungs and she had to remind herself to breathe. What was wrong with her? She was out here to meet her future husband, not stand here losing her senses to some stranger on a dusty street in Texas. “Ma’am.” The dark haired stranger pulled down on the front of his hat as he nodded her direction. Even as they stood there talking, Cora could see some men racing to tend to the wounded, carry the dead away and arrest the ones who’d made it through the fight without injury. It seemed rather chaotic to her, but she also noticed how the other citizens in town had already started moving about like it was nothing out of the ordinary. She was finding herself annoyed with the way he obviously wasn’t as affected by her as she seemed to be with him. In fact, he didn’t seem to have any manners at all when speaking to her. She already knew she wasn’t in the mood to deal with his uncivilized character. Pulling her shoulders back and lifting her chin, she put her gloved hand out to him. As she spoke, she watched his face turn red at the reminder of his lack of manners. But as she continued, she noticed his eyes cringe when she mentioned the man’s name she was to marry. He quickly whipped his head toward Shorty, before looking back at her. The Grandma's Wedding Quilts books will be released at the rate of one per day. You will want to read all the books in the series. To find then all in one location, please visit and follow the series page on Amazon by CLICKING HERE. To keep track of any games, parties, contests and special information about the Grandma's Wedding Quilts series, please "like" and follow the Grandma’s Wedding Quilts page on Facebook by CLICKING HERE. Second, join the SweetAmericana Book Club group on Facebook by CLICKING HERE. 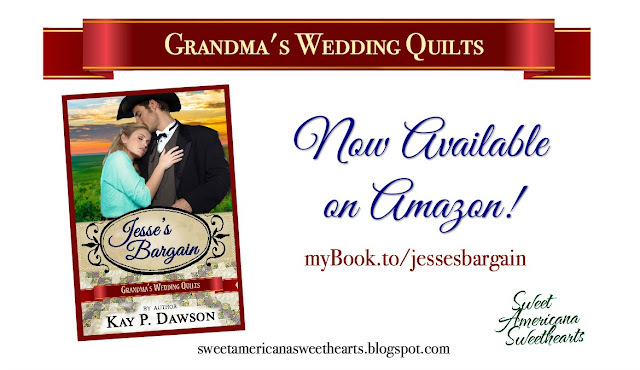 Congratulations, Kay, on how very well JESSE'S BARGAIN is doing! This newest title is just a few days old, and it's evident how much readers LOVE it! Congrats! It's been an honor associating with you and the rest of the multi-author team creating this sweet historical romance series.